Nathan Nastase is a native of Indiana, Pennsylvania. He completed his undergraduate education in 1989 at the University of Michigan, earning a Bachelor of Science in Natural Resources. He was commissioned a Second Lieutenant in the Marine Corps through the NROTC program in April, 1989. 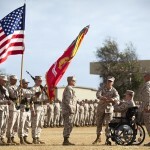 Following The Basic School and the Infantry Officer Course, Lieutenant Nastase was assigned to 1st Battalion, 5th Marines, 1st Marine Division at Camp Pendleton, California in March 1990. During this tour, Colonel Nastase served as a rifle platoon commander, participating in Operations DESERT SHIELD and DESERT STORM as a member of Task Force Ripper. He served as the S-3 Training Officer during a subsequent deloyment to Okinawa and the Republic of Korea. Additionally, he served in Weapons Company as the heavy weapons platoon commander and company executive officer. In February, 1993, First Lieutenant Nastase transferred to The Basic School, Quantico, Virginia and was assigned as the Infantry Unit Leader, Enlisted Instructor Company. After promotion to Captain, he served as a Staff Platoon Commander for Company C and Company A, as the Assistant Operations Officer, TBS, and as an instructor in the Offensive Tactics Section. In July 1996, he received orders to attend that Marine Corps Amphibious Warfare School, Quantico, Virginia. 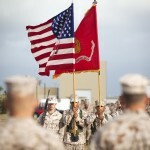 Upon completion of career level school in May 1997, Captain Nastase reported to 2d Marine Division, Camp Lejune, North Carolina for duty as Commanding Officer, Company E, 2d Battalion, 6th Marines. Upon completing a deployment with E/2/6 to Okinawa and Korea as part of the Unit Deployment Program, he was assigned as the S-3A, 6th Marines. In January, 1999, Captain Nastase assumed command of Headquarters Company, Headquarters Battalion, 2d Marine Division and deployed to Assiros, Greece with 2d MEB for NATO Exercise Dynamic Mix 2000. In July 2000, Major Nastases was assigned as Operations officer, Headquarters and Service Battalion, Marine Corps Base, Quantico Virginia. From February – June, 2003, Major Nastase was assigned as Operations Officer, Enduring Freedom Combat Assessment Team (EFCAT) serving with MARCENT in Bahrain, Kuwait, and Iraq during Operation IRAQI FREEDOM I. Upon returning from the EFCAT mission, Major Nastase attended the Marine Corps Command and Staff College where he was distinguished graduate, receiving a Master of Science degree in Military Studies. In 2004, he also completed a Masters of Education degree from Old Dominion University. In June 2004, Major Nastase reported to 1st Marine Division, Camp Pendleton, California for duty as Operations Officer, 5th marines. 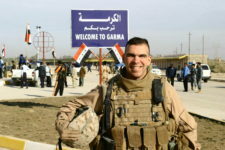 In September 2004, he led the advance element of 5th Marines personnel to Ar Ramadi, Iraq in support of 1st marine Division as the Deputy Director, Iraqi Security Forces (ISF) during Operation IRAQI FREEDOM II. Returning to Iraq in January 2006, Lieutenant Colonel Nastase served as Operations Officer, Regiment Combat Team 5, in Al Fallujah, Iraq during Operation IRAQI FREEDOM 05-07. 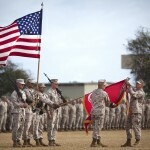 In October, 2006, Lieutenant Colonel Nastase assumed duties as Commanding Officer, 3d Battalion, 3d Marines, Kaneohe Bay, Hawaii. From July 2007 through February 2008, he led Task Force 3/3 in Al Fallujah, Iraq during Operation IRAQI FREEDOM 06-08. Upon relinquishing command of 3/3 in June 2008, he served as Executive Officer, 3d Marines until his subsequent transfer in January 2009 to attend the NATO Defense College, Rome, Italy. Upon completion of Top Level School, Lieutenant Colonel Nastase joined US European Command, Stuttgart, Germany, where he served in Current Actions Branch (J33) and subsequently as Chief, Joint Training Reqdiness and Exercise Division (J37). 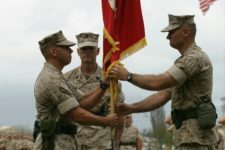 Colonel Nastase assumed command of 3d Marine Regiment on 23 June 2011. 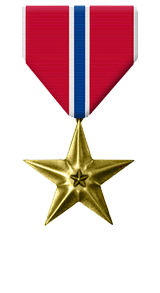 Colonel Nastase’s personal awards include the Bronze Star Medal with two gold stars in lieu of third award, Meritorious Service Medal with gold star, Navy-Marine Corps Commendation medal with gold star, Navy-Marine Corps Achievement Medal with gold star, and the Combat Action Ribbon with gold star. For meritorious achievement in connection with combat operations involving conflict with an opposing force while serving as Commanding Officer, 3d Battalion, 3d Marines, Regimental Combat Team 1, I Marine Expeditionary Force (Forward) from 1 August 2007 to 20 February 2008 in support of Operation IRAQI FREEDOM 06-08 and FY-08. 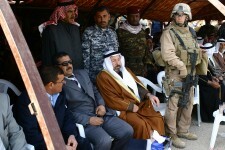 Lieutenant Colonel Nastase envisioned and guided a campaign that neutralized Al-Qaeda east of Fallujah, resulting in one of the most significant reductions in violence since the commencement of combat operations. Tailoring a plan that was sustainable and that would facilitate transition, Lieutenant Colonel Nastase encouraged partnership between the Nascent Iraqi Security Forces and his Marines who skillfully trained, mentored and empowered more than 700 Iraqi Police, Provincial Security Forces and Indigenous Civilian Watch; in turn, allowing the battalion to focus on reinvigorating the economy and integrating civil-military operations. Lieutenant Colonel Nastase forged collaborative relationships between influential local leaders, eliciting teamwork and fostering unity of effort amongst many disparate tribes and security organizations. As the region stabilized, he promoted self-reliance among the emerging government and security forces, undermining insurgents’ ability to influence the populace and disrupt reconstruction efforts. His sage guidance and relentless efforts across all counterinsurgency lines of operation achieved unprecedented results in neutralizing the insurgency. Lieutenant Colonel Nastase’s total effectiveness, forceful leadership and loyal devotion to duty reflected great credit upon him and were in keeping with the highest traditions of the Marine Corps and the United States Naval Service.